If your credit is damaged, or if you simply have not established credit yet, you may not qualify for certain credit cards on the market. But that doesn’t mean you can’t add some plastic to your wallet. A secured credit card may be what’s right for you. A secured credit card is a type of credit card that requires a deposit. This deposit acts as your credit line. The card functions the same as an unsecured credit card in terms of how you use it, and most issuers report your payment history to the three main credit bureaus: TransUnion, Equifax and Experian. As you manage the card responsibly, you’ll improve or build your credit and eventually progress to qualifying for a regular credit card. Before you start shopping around for a secured credit card, it’s a good idea to find out where your credit currently stands so you have an idea of what cards you may qualify for. Why? Well, knowing your credit scores helps you determine which cards you’re more likely to get approved for, as well as what terms and conditions you may get with the card. The better your credit, the more options you’ll have, including money-saving choices not available to those with credit scores lower than yours. Not sure if your credit is good, bad or fair? That’s not unusual, but it’s easy to find out. You can check out your free credit report snapshot. When you do, you’ll see two of your credit scores — one from Experian, one of the three major credit reporting agencies, and your VantageScore 3.0 credit score. Your scores are updated, so you can check back on a monthly basis to see how your financial behaviors are affecting them. This can come in handy once you get a new credit card to see how using it (and paying your statements on time) are helping you build or improve your credit profile. 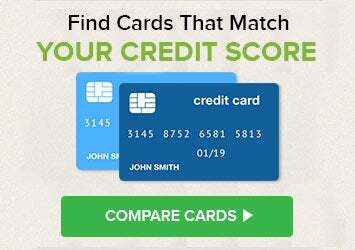 Credit Reporting: What is the card’s policy for reporting to the credit bureaus? Whether you’re focused on using the credit card to build your credit or improve damaged credit, you’ll want to get one that reports to not one or two, but all three of the major credit reporting agencies. Graduation Features: Will the card let you raise your credit limit over time, either by increasing the size of your down payment or by earning a higher limit through responsible use of the card? If it will, what are the requirements? You’ll also want to find out the graduation timeline. Do you need to use the card responsibly for six months or a year before you can increase your limit? Annual Fees: There are several credit cards on the market that don’t carry annual fees. Unfortunately, you may not be able to avoid annual fees with a secured credit card and you’ll need to build this into your budget. Make sure you do your research and compare annual fees across cards to find the best deal. Interest Rates: The annual percentage rate (APR) shows the card’s interest rate on your unpaid balance. The APR on a card can vary for different services — like a cash advance versus charges for carrying a balance on purchases, for example. The APR may change, too. It may improve as your credit improves, but you may also see it increase (like if you get a card with a low introductory rate that bumps up after a given period of time). You’ll want to be aware of any potential changes so they don’t take you by surprise. Other Fees: Annual fees and interest charges aren’t the only fees that can come with a credit card. Some cards have application fees, which you’ll want to take note of before applying, especially if you’re unsure about qualifying for the card. Watch and compare the host of other possible fees, including fees for balance transfers, over-limit charges, late payments, cash advances and other costs. Rules: Read and compare the detailed rules accompanying each card so you don’t get tripped up by incurring surprise fees and possibly further damage your credit. The geographic distinctions are old and date back to pre-Internet when files were kept manually. You never know which credit report/credit score will be used so you need to get your reports from all three major credit reporting agencies.